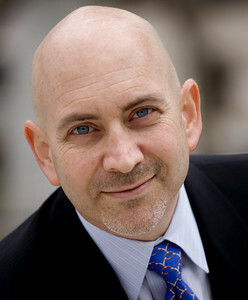 The Business Agility Workshop is an experiment started by David Siegel. David has been a high-level management & strategy consultant to companies like Sony, Hewlett Packard, Amazon, Office Depot, Lucent, CSC, Intel, NASA, and many start-ups. He has written five books about the Web and business, four of which have been bestsellers. He started one of the first web-design and strategy firms in San Francisco and sold it to KPMG in 1999. He has given over 100 professional speeches, many of them keynotes at tech or business conferences around the world. As a proven innovator, David has been consulting, writing, and talking about "customer led" companies for 15 years. David has been published by Forbes.com, The Harvard Business Review, and profiled in Fast Company. In 2016, David was a candidate to be the next dean of Stanford Business School. You can view his resume on this site and learn more about David on his LinkedIn page. David is now giving keynote talks and workshops on blockchain. His keynote speech is 60-90 minutes and is good for business audiences of all sizes. His four-part, 8-hour Blockchain Bootcamp will put everyone in your organization on the same page, with the same vocabulary. If you are wondering how to attract and keep great people, get out of the innovation trap, improve corporate culture (really), become more agile, and start competing with startups, read the Manifesto, learn about our workshops, then contact David to get started on your journey to business agility.